The Keoladeo National Park, or Keoladeo Ghana National Park, formerly known as the Bharatpur Bird Sanctuary, in Rajasthan, India, has become a famous avifauna sanctuary with thousands of rare and highly endangered birds, such as the Siberian Crane wintering annually. Over 230 species of birds have made the National Park their home. A major center for ornithologists, scores arrive every hibernal season. Declared a protected sanctuary in 1971, UNESCO designated the park a World Heritage Site in 1985. The crisis facing the Keoladeo National Park has been endemic to wildlife environments in nations rapidly developing through the Industrial and Information Ages in a short period of time, like the Republic of India. Governments' responsibility to protect and foster natural environments and wildlife conflicts with their responsibility to assist their citizens to secure shelter, food, and clothing, as well has the higher needs of education, health care, and recreation. The decision, in 2004, to divert 97 percent of sanctuary water to farmers' fields has created an ecological disaster in Keoladeo National Park that requires an emergency remedy. The sanctuary had been created 250 years ago, named after a Keoladeo (Shiva) temple within its boundaries. Initially a natural depression, the terrain flooded after Maharaja Suraj Mal, the ruler of the princely state of Bharatpur between 1726 to 1763, constructed the Ajan Bund. The bund had been created at the confluence of two rivers, the Gambhir and Banganga. The park provided a happy hunting ground for the maharajas of Bharatpur, a tradition dating back to 1850, with duck shoots organized yearly in honor of the British viceroys. In one shoot alone in 1938, Lord Linlithgow, the then Governor-General of India killed over 4,273 birds, such as mallards and teals. 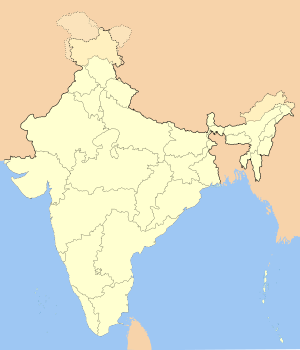 After India's independence, the rulers of the princely states received shooting rights until 1972. In 1982, the government banned grazing in the park, leading to violent clashes between the local farmer and Gujjar communities and the government. The sanctuary hosts a small wintering population of the rare Siberian Cranes. Other species include the ruddy shelducks, gulls, northern shovelers, northern pintails, coots, garganey, tufted ducks, and common pochard. In late 2004, the Rajasthan government led by Vasundhara Raje succumbed to pressure from farmers to prevent water from being diverted to the sanctuary. The water supply to the park dropped from 540,000,000 to 18,000,000 cubic feet (15,000,000 to 510,000 m³), resulting in an ecological disaster with the marshlands turning dry and inhospitable. Most of the birds flew off to alternate avenues as far as Garhmukteshwar, Uttar Pradesh (90 km from New Delhi) on the river Ganga for breeding. That resulted in many of the birds being hunted for their meat. The act, criticized by leading environmentalists, led to a Public Interest Litigation being filed in court. 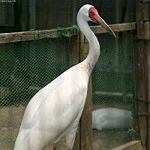 The Siberian Crane, Grus leucogeranus, also known as the Siberian White Crane or the Snow Crane, belongs to the bird family Gruidae, the cranes. That species breeds in arctic Russia in Yakutia and western Siberia, a long distance migrant. The eastern population winters on the Yangtze River and Lake Poyang in China, the central population at Keoladeo National Park, India, and the western population in Fereidoonkenar and Esfahan, in Iran. It breeds and winters in wetlands, where it feeds on the shoots, roots, and tubers of aquatic plants. A large white crane, the largest males exceed 140 cm (55 inches) in length and weigh over 10 kg (22 lbs). Adults have white feathers, except for a dark red mask extending from the bill to behind the eye. It has a yellow iris and reddish legs. The male grows slightly larger than the female. Juveniles have a feathered mask and buff of cinnamon plumage. The voice sounds flute-like and musical. The status of this crane has become critical, with an expected rapid population decline in the near future. The wintering site in China holding 95 percent of the population has been threatened by hydrological changes caused by the Three Gorges Dam. Historic records from India suggest that a number of them wintered there in the past. That number has steadily declined and the birds have disappeared from there. Mr. Rutledge of Entally told me that for twenty years he tried unsuccessfully to get live specimens of this crane, but did not succeed till a few years ago, when he and one of the native dealers got so many that the market was quite glutted, and many were sent to Europe. Since then the bird got scarce again, so this was evidently only a temporary invasion (Frank Finn, in How to know the Indian Waders). The Siberian Crane numbers among the species to which the Agreement on the Conservation of African-Eurasian Migratory Waterbirds (AEWA) applies, the subject of a Memorandum of Understanding concluded under the Bonn Convention. The Spotted Owlet (Athene brama), an owl which breeds in tropical Asia from India to Southeast Asia, belongs to the larger grouping of owls, known as typical owls, Strigidae, which contains most species of owl. The barn owls, Tytonidae, conprise the other grouping. The Spotted Owlet commonly resides in open habitats including farmland and human habitation. It nests in a hole in a tree or building, laying 3-5 eggs. The Spotted Owlet has a small (21cm) and stocky body, its upper parts grey-brown while heavily spotted with white. The owl has white underparts, streaked with brown. The Spotted Owlet has a pale facial disc, yellow eyes, and a white neckband. Male and female appear similar, with deeply undulating flight. Normally nocturnal, the species has been sighted during the day. Small birds often locate the owls, mobbing them while perched in trees. It hunts a variety of insects and small vertebrates. They have a harsh chirurr-chirurr-chirurr call. Preening at Keoladeo National Park, Bharatpur, Rajasthan, India. The Spotted Redshank, Tringa erythropus—a wader in the large bird family Scolopacidae, the typical waders. An arctic bird, breeding across northern Scandinavia and northern Asia, the Spotted Redshank migrates, wintering around the Mediterranean, the southern British Isles, France, tropical Africa, and tropical Asia, usually on fresh or brackish water. The breed has been occasionally vagrant in Australia and North America. 29-33 cm long, the bird has black plumage in breeding and looks pale in winter. It has a red legs and bill, and shows a white oval on the back in flight. Juveniles have grey-brown finely speckled white above, and pale, finely barred underparts. It nests on open boggy taiga, laying four eggs in a ground scrape. They have a creaking whistle teu-it (somewhat similar to the call of a Roseate Tern), the alarm call a kyip-kyip-kyip. Like most waders, it feeds on small invertebrates. The Common Redshank, which has a shorter bill and legs, brown and white above with some dark patterning below, becoming somewhat lighter-toned in winter, replaced the Spotted Redshank as a breeding bird further south. Taxonomically, it forms a close-knit group with the Greater Yellowlegs and the Greenshank, which among them show all the basic leg and foot colors of the shanks. Those three species constitute the largest shanks apart from the Willet, an altogether more robustly built bird. The Spotted Redshank numbers among the species to which the Agreement on the Conservation of African-Eurasian Migratory Waterbirds (AEWA) applies. Resting with Red-wattled Lapwing at Keoladeo National Park. Resting on one leg at Keoladeo National Park. In Non-breeding plumage at Keoladeo National Park. The Bluethroat (Luscinia svecica)—a small passerine bird formerly classed as a member of the thrush family, Turdidae, but now more generally considered an Old World flycatcher, Muscicapidae. It, and similar small European species, have often been called chats. A migratory, insectivorous species breeding in wet birch wood or bushy swamp in Europe and Asia with a foothold in western Alaska, the bird nests in tussocks or low in dense bushes. It winters in north Africa and India. The Bluethroat has a similar size to the European Robin, at 13-14 cm. 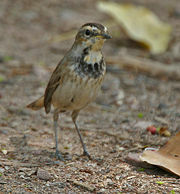 Plain brown above except for the distinctive black tail with red side patches, the Bluethroat has a strong white supercilium. The male has a blue bib edged below with successive black, white, and rust colored borders. Some species, such as L. svecica svecica (Red-spotted Bluethroat) of northern Eurasia, have a red spot in the center of the blue bib. Others, such as L. svecica cyanecula (White-spotted Bluethroat) of southern and central Europe, have a white spot in the center of the blue bib. L. svecica magna, in Turkey, has no central spot. Females of all races usually have just a blackish crescent on an otherwise cream throat and breast. Newly fledged juveniles have freckled and spotted dark brown above. Despite the distinctive appearance of the males, recent genetic studies show only limited variation between the forms, and confirm this as a single species. The male has a loud, varied, and sometimes imitative song reminiscent of its relative, the Nightingale. Its call has a typical chat “chack” noise. The Red-wattled Lapwing (Vanellus indicus) (local names: Hindi: titeeri, titai, titori, Sindhi: tAteehAr, Gujarati: titodi Kashmiri: hatatut, Assamese: 'bAlighorA', Telugu: yennappa chitawa, Tamil: alkati)—a lapwing or large plover, a wader in the family Charadriidae. Sometimes called the "did-ye-do-it bird" due to its unmistakable call. It breeds from West Asia (Iraq, SW Iran) eastwards across South Asia (Baluchistan, Afghanistan, Pakistan, the entire Indian subcontinent up to Kanyakumari and up to 1800 m in Kashmir/Nepal), with the related species, Burmese Red-wattled Lapwing, further east in Southeast Asia. May migrate altitudinally in spring and autumn (for example, in N. Baluchistan or NW Pakistan), and spreads out widely in the monsoons on creation of requisite habitats, but by and large the populations remain resident. This species has been declining in its western range, but remains abundant in much of South Asia, being seen at almost any wetland habitat in its range. Red-wattled Lapwings constitute large waders, about 35cm long (somewhat larger than a Rock Pigeon, with longer legs). They have light brown wings and back, with black head, chest, and front part of neck. A prominently white patch runs between those two colors, from belly and tail, flanking the neck to the sides of crown. They have a short tail tipped black with a red fleshy wattle in front of each eye, black-tipped red bill, and yellow long legs. In flight, they have a prominent white V-shaped wing bar. The birds usually stays in pairs or trios in well-watered open country, ploughed fields, grazing land, and margins and dry beds of tanks and puddles. They may be found in forest clearings around rain-filled depressions. They run about in short spurts and dip forward obliquely (with unflexed legs) to pick up food in a typical plover manner. Red-wattled Lapwings act uncannily and ceaselessly vigilant, day or night, the first to detect intrusions and raise an alarm, and therefore a nuisance to hunters. They have a rather slow flight, using deliberate flaps, yet capable of remarkable agility when defending nest or being hunted by a hawk. The bird has a striking appearance although supplemented by its noisy nature, with a loud and scolding did-he-do-it call, often uttered at night. Season: Mainly March to August-September. The bird has a preference for marshes and similar freshwater wetland habitats, laying eggs in a ground scrape or depression sometimes ringed around with a few goat droppings or pebbles. Their nest contains three to four black-blotched buff eggs shaped a bit like a peg-top (pyriform), 42x30 mm on average. Their nests prove difficult to find since eggs and nest usually match the ground to perfection. Ants, beetles, caterpillars and other insects, snails and other invertebrates, mostly picked from the ground constitute their main diet. They consume a quantity of vegetable matter as well. The Red-wattled Lapwing feeds in the day as well as night. bathing at Keoladeo National Park. after bath at Keoladeo National Park. ↑ BirdLife International 2004. . 2006 IUCN Red List of Threatened Species., World Conservation Union. Retrieved on 11 May 2006. ↑ Bikram Grewal, Bill Harvey, and Otto Pfister, Photographic Guide to Birds of India (Hong Kong: Princeton University Press, 2002). ↑ Salim Ali, Book of Indian Birds (Mumbai: Oxford University Press). ↑ Salim Ali and Sidney Dillon Ripley, Handbook of the Birds of India and Pakistan, 2nd ed. (New Delhi: Oxford University Press, 1983). Grimmett, Richard, Carol Inskipp, and Tim Inskipp. A Guide to the Birds of India, Pakistan, Nepal, Bangladesh, Bhutan, Sri Lanka, and the Maldives. Princeton, N.J.: Princeton University Press, 1999. ISBN 9780691006871. Singh, Jagjit. Birds of India. New Delhi: Books Today, 2001. ISBN 9788187478157. Subramanian, K.S., and Michael Vlassoff. Population Pressure and Bio Diversity: A Case Study Keoladeo National Park. New Delhi: United Nations Population Fund, India, 2006. UNESCO World Heritage Site: Keoladeo National Park. History of "Keoladeo National Park"
This page was last modified on 16 April 2018, at 16:08.